You could say that the city of San Jose and Nextdoor need each other. Perhaps that’s hyperbolic. But let’s look at the facts: San Jose, the third-largest city in California, could use more efficient ways to communicate official messages with its constituents. And Nextdoor, a social network that bills itself as the private alternative to Facebook, LinkedIn and Twitter, needs more ways of spreading to new users. Which is why the marriage of the two makes sense. As of Tuesday, the city of San Jose can use Nextdoor to distribute information to the network. With the new hookup, local government can send out messages to all those San Jose residents on Nextdoor, regardless of the neighborhood in which they reside. Ideally, it will mostly contain information on things like utility shutdowns, volunteering opportunities, emergency preparedness — all typical messages that you’d expect from local governmental bodies. It’s different from the way the network usually functions. 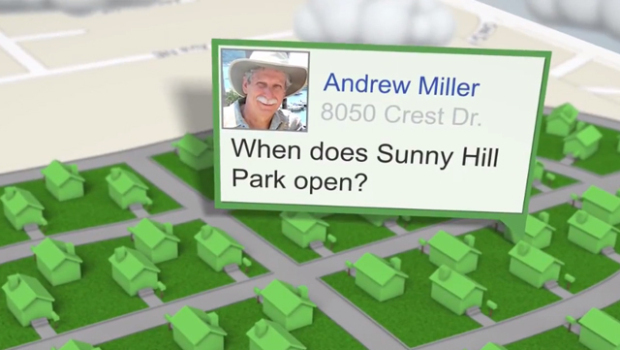 Nextdoor members are limited to communication within their neighborhoods, or cordoned-off areas within each district of a city. The idea there is to foster localized discussion within a community, without expanding beyond a critical mass. Unlike the typical user, the city of San Jose will be able to send out messages to everyone at once. It looks to be a smart pairing between private enterprise and city government. But it is also a broader strategy move for Nextdoor, a network whose virality is self-limited by its very nature. To keep in line with its message of extreme privacy, users can only sign up if they’ve verified their physical address, and even after that, they can’t cross over into interacting with people outside of their neighborhood. Existing users evangelizing the network to newcomers by word of mouth is effective, the company tells me, but it is also slow. So cozying up to local governments, then, is another method of distribution — have San Jose blanket-pitch the service to its residents, and Nextdoor gets a better chance at citywide adoption. And if it takes off in a handful of major cities, it’s easy to think it will spread to others quickly. The network is still private by design; the city (and other constituents) can only see you if you decide to respond to one of its messages. And even if you do respond, your only viewable information is your first name, last initial and the neighborhood in which you live. The idea is to maintain a level of accountability to fight against spam and abuse, while keeping residents comfortable with the amount of information they’re sharing about themselves. 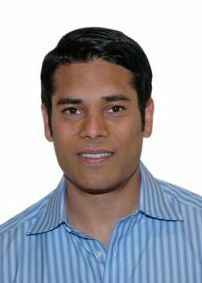 This is the direction CEO Nirav Tolia thinks we’re trending toward: Localized discussion facilitated through the Internet, and made easier through the mutual trust gained in accountability. “It’s conceivable that in the next 10 years, all of this discourse will move online,” Tolia told me in an interview. “I would like to think that Nextdoor will play a critical role in doing that with cities and local governments.” As of now, more than 60 different cities — most of them in California — are using the network for top-down communications to their residents. To be sure, Nextdoor isn’t a panacea for governmental communications issues. For one, city government can’t rely solely on Nextdoor for issuing communitywide alerts and notifications, mostly because not everyone in the city is signed up to use the network. And the city is limited on how many messages it can send out per week — and that may be restricting in terms of getting all of its communications sent out.